(ANCHORAGE, Alaska) – The Alaska Department of Transportation & Public Facilities (DOT&PF) continues to focus on repairing infrastructure damaged during Friday morning’s 7.0 earthquake. DOT&PF has identified almost 50 locations on state-maintained infrastructure where repair work is necessary, and crews, with contractors, are currently working on the eight highest priority locations. Please stay off the Glenn and Seward highways if possible. Damage from the earthquake, and ongoing repairs will make travel difficult, slow, and frustrating. Work from home if possible. 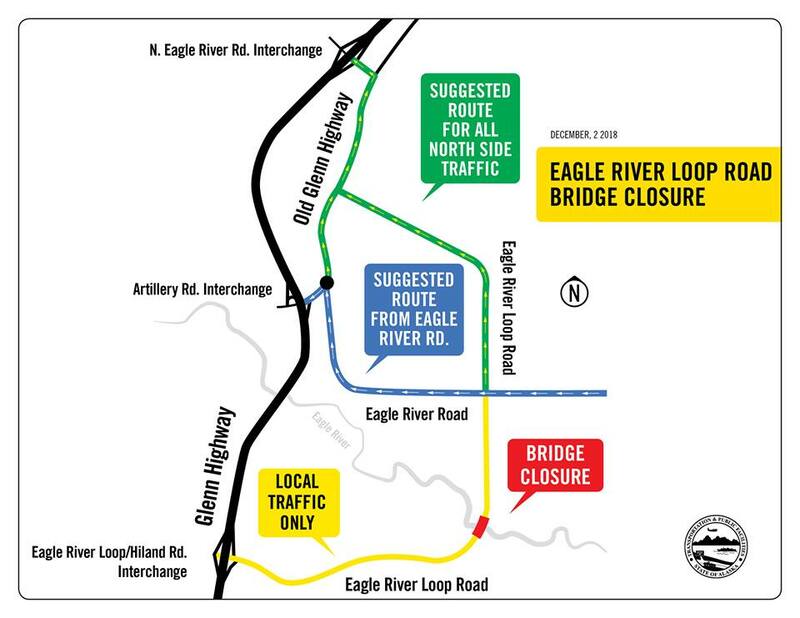 Detours at two major sites on the Glenn Highway at Eagle River and Mirror Lake are shown on these maps: Eagle River Loop Road Bridge Closure and Mirror Lake Detour. 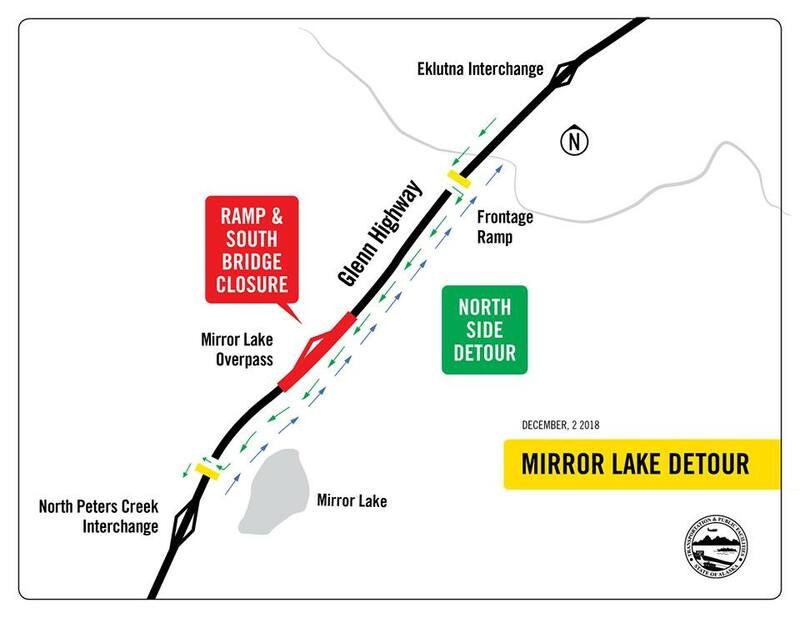 These detours will cause significant delays as we make major repairs. Many damaged locations will need to be paved before they are reopened to the public. DOT&PF does not usually pave in the winter because it’s harder to compact asphalt before it cools and hardens in cold temperatures. While paving in the winter is not ideal, it is not impossible. Two main factors affect asphalt compaction: temperature and time. Crews will take extra steps to accommodate for these factors. Alaska’s contractors are experienced and they are dedicated to repairing the asphalt surfaces damaged by the earthquake. All DOT&PF bridge inspectors are in Southcentral Alaska conducting technical bridge inspections. All 243 bridges in the earthquake-affected area, including state and local bridges, are being inspected. At this point, no structural damage has been found. Alaska’s bridges are designed to stay standing during an earthquake and most older bridges in the state have been retrofitted to improve their performance in an earthquake. Every DOT&PF maintained bridge is inspected by bridge engineers at least every two years. They identify problems, if there are any, and repairs are prioritized and scheduled. Complete list of damaged locations, dot.alaska.gov/earthquake2018/docs/Damage-Locations-earthquake2018.pdf. Road conditions and traffic cameras, 511.Alaska.Gov. Many thanks to the traveling public for their continued patience, and to the contractors and their dedicated staff who provide essential services.